Mister asks me all the time to make him poached eggs. I stink at making poached eggs, you see, and since I’m not really what you call a “morning person,” starting my day out with an epic failure is not my idea of fun. I don’t need that kind of stress in my life, let me tell you. 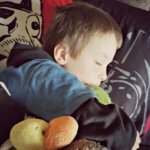 But as a loving mommy who wants to make things that her children will eat, especially if they ask for something healthy, it breaks my heart that I can not poach an egg. I remember eating poached eggs on toast as a kid and it was one of my favorite breakfasts. Maybe because we didn’t have it often…but at least my mom could poach an egg! Poached eggs and pie crusts are two things I did not inherit my mom’s talents in making. If you put an egg on something, it’s suddenly gourmet…Like this Pan Seared Creole Seasoned Salmon. Get the recipe for My Favorite Creole Seasoning Blend here. If you can’t poach an egg the traditional way, why not cheat? Or maybe we’ll call it Working Smarter Not Harder. Or Actively Reducing Stress in My Life to Make Me a Better Mom. However you look at it, when you find something that will help you overcome a shortcoming, run with it, right? So when I got a chance to try out these Silicone Egg Poachers (available through my affiliate partner) I jumped on it. 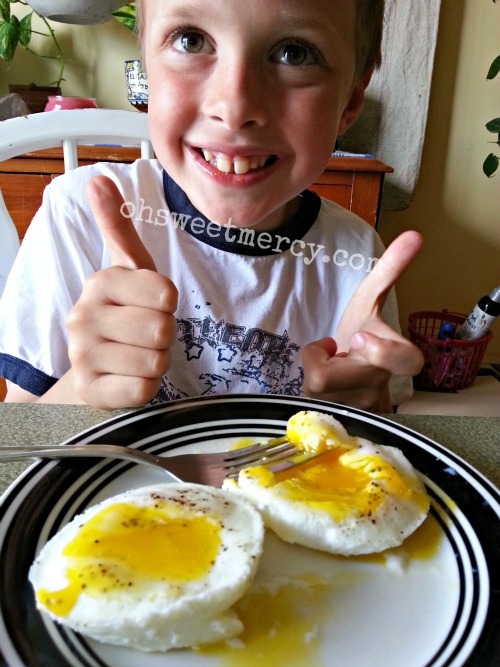 Finally, maybe, my son could have those beloved poached eggs he so longingly desired. They have a molded ring on the bottom to keep them stable on the counter. Simply crack your eggs into the poachers, season as desired, plop carefully into a pot of boiling water and cover with a lid. In five minutes, you have a poached egg with a runny yolk. Cook longer if you don’t like runny yolks. Then take a spoon and gently ease the poached egg out of the silicone egg poacher. Easy! 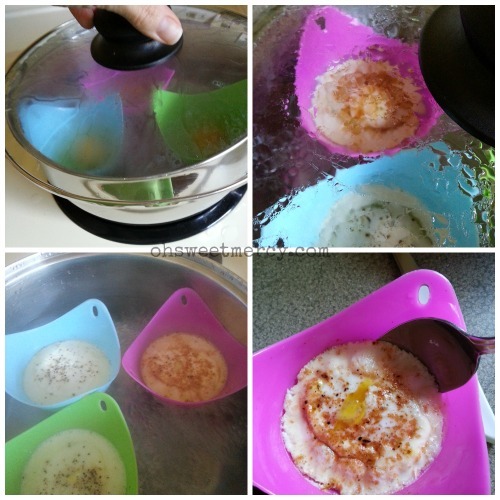 The silicone egg poacher works very well at poaching eggs. I was a little less thrilled at how they cleaned up in the dishwasher, but then I use cheap dishwasher tabs from Aldi so that may have been part of the problem. They clean up fairly easily by hand though. In the dishwasher, there was an egg residue left behind. 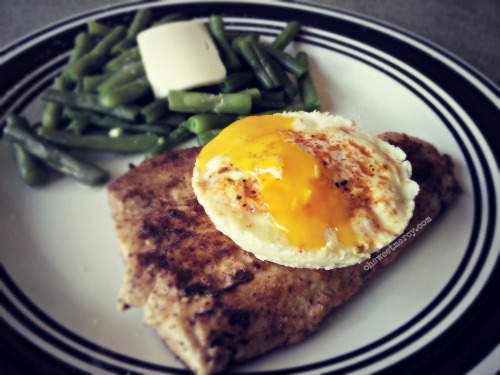 What else can you do with a silicone egg poacher? 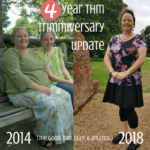 Products that can be used for more than one thing really make me happy. 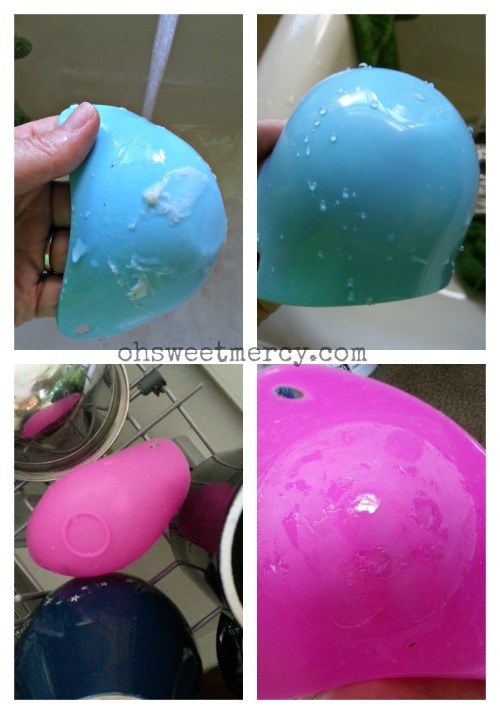 What else can you do with a silicone egg poacher? 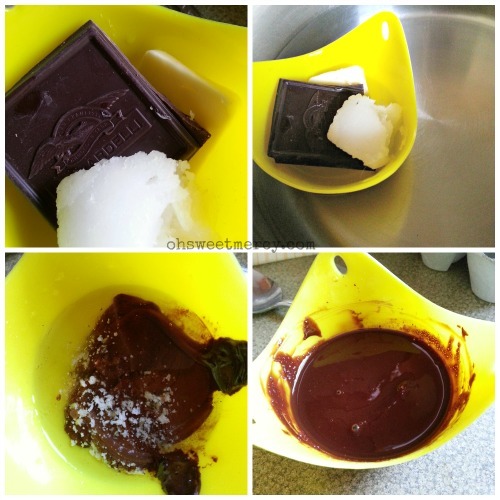 How about melt baking chocolate, coconut oil, butter, or other hard substances that melt at high temps? 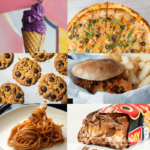 You could use them to reheat small portions of leftovers. Maybe not all that practical, but when you’ve got kids, sometimes you have to make leftovers more attractive. That leftover stuff they turned up their noses at when you mentioned it just might be more appealing when you tell a tale of colorful ships floating on a steamy sea…full of pirate grub. If you don’t have a microwave, these silicone egg poachers can make reheating and melting small portions easier. 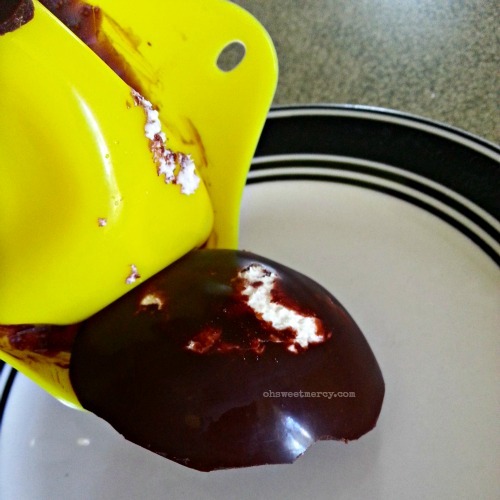 If you’re a Trim Healthy Mama, you can use these silicone egg poachers to melt chocolate and coconut oil to make Skinny Chocolate. I made some with cream cheese centers…I’ll get the recipe posted soon! They were simply to die for! You could also try Dark Chocolate Coconut Nom Noms or, if peanut butter is more your style, how about Coconutty Peanut Nom Noms. 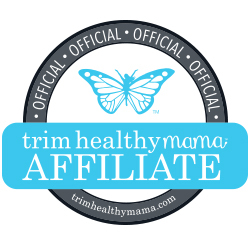 Read why I’m a Trim Healthy Mama here! I love them. In spite of them not really cleaning well in the dishwasher, they are still a product I will use often. Mister gets his poached eggs. I get to make him happy. And besides, Sister does most of the dishes anyway so I’m not bothered at all by cleaning them in the sink by hand. 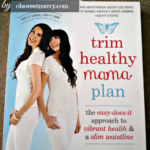 I received this product to try it and write a review. The opinions expressed here are entirely my own. That is such a handy little tool. I have always wanted to try poaching my eggs and this would be a perfect help. I thought I was the only one not able to poach an egg! I do like them but usually only get them when I eat out!! I definitely will be looking into getting this. I don’t have a dishwasher so hand washing them won’t bother me one little bit-I’m quite used to it. I don’t often poach eggs, despite enjoying them. 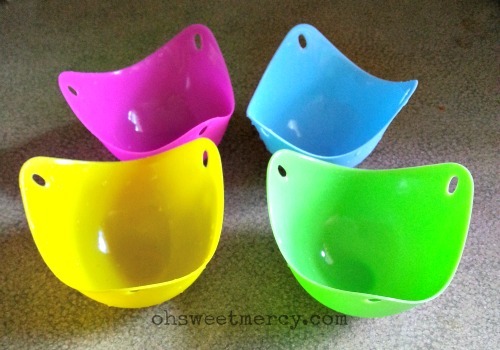 I need to grab some of these silicone poachers to make life easier. They sound like they’d make breakfast come together in a snap. I think this is what I need, I always done a messy fried egg lol.